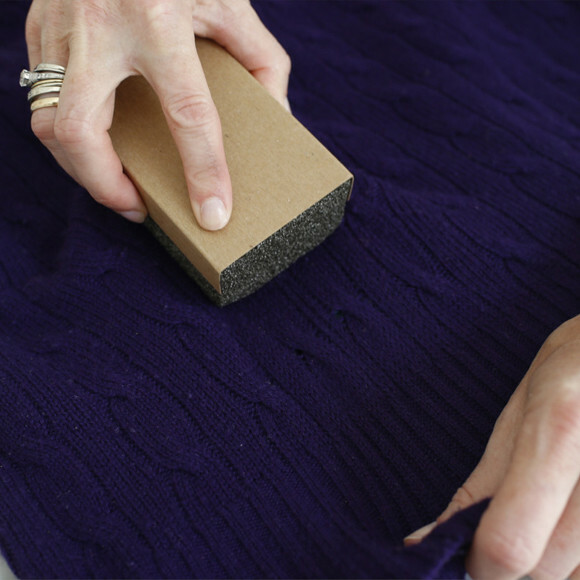 The Sweater Stone is ideal for de-pilling heavier-knit sweaters, blankets, upholstery, and more. The natural volcanic pumice will delicately pick up loose fibers and yarns that naturally result from friction and wearing. To Use:Lay your garment on a flat surface. Work the Sweater Stone gently in one direction using short strokes. Shake the item out to remove excess pumice. To freshen between wearings, spritz with Wool & Cashmere Spray from 6 inches away. Safe for freshening all fabrics and furnishings, this nontoxic and allergen-free fabric spray naturally repels bugs. Most wool items labeled “dry clean” are generally launderable. 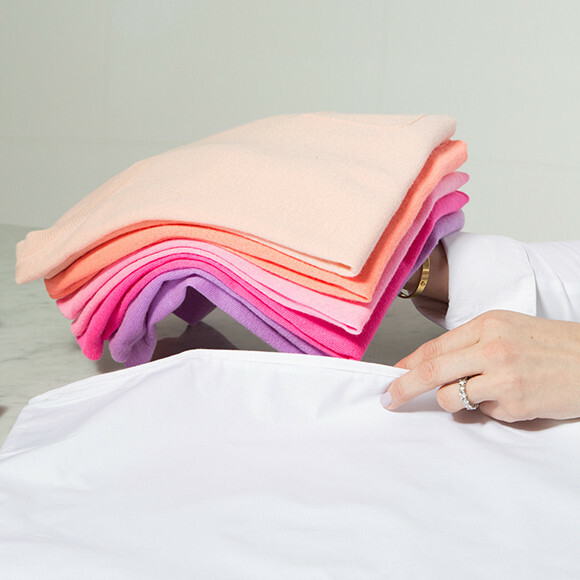 When an item is labeled “dry clean only,” the best way to care for it between cleanings is to steam and freshen with Wool & Cashmere Spray. It’s always important to clean woolens before storing as perfume, body products, body oil, food, and dirt can surface later and be much harder to get out. Before packing, spritz with Wool & Cashmere Spray and place in a breathable fabric storage bag, such as the All-Purpose Storage Bag. Never store using plastic, cardboard, drawer liners, and contact paper. These attract bugs and encourage bug reproduction. This item is out of stock but we have the perfect alternative! Our Sweater Comb is also great for de-pilling fine-gauge knits and delicate woolens.